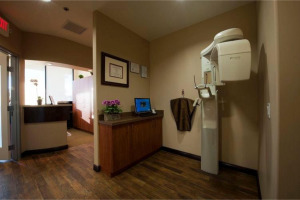 At Everbright Family Dentistry, we pride ourselves in offering the community a comfortable ambiance in addition to the latest in state-of-the-art dental equipment and diagnostic technology. Upon visiting our office, you will find a comfortable reception area complete with a television for your convenience. Treatment rooms are equally comfortable, with individual patient televisions mounted overhead. All of our equipment is sterilized using modern sterilization techniques that meet and surpass the standards of the Occupational Safety and Health Administration. Furthermore, we only use pure, distilled water in place of tap water to reduce the chances of contamination. In addition to general dentistry and cosmetic dentistry, we work closely with specialists in periodontics (gum diseases), implant dentistry, and endodontics (root canal treatments). 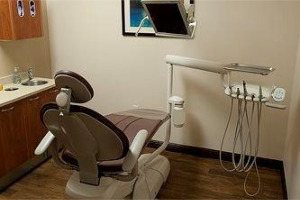 Our team emphasizes comprehensive quality care, patient education, and preventive dentistry. If you are visiting our Valencia dentist for the first time, you can find our office in Northpark Village Square at the intersection of McBean Parkway and Decoro Drive. Our office is next to Rite-Aid and near Starbucks, McDonald’s, Ralph’s and the Wolf Creek Restaurant.